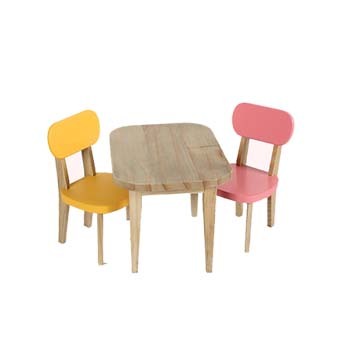 Founded in 1999, Maileg is an award winning Danish company and makes children’s toys. 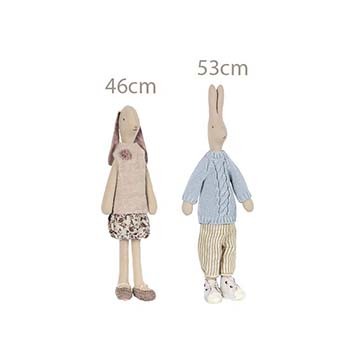 Their authentic-styled toy collection was created by Dorthe Mailil, often based on contemporary seasons. 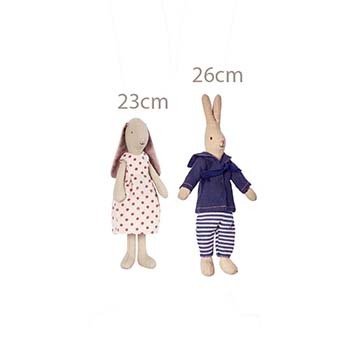 We especially love the bunnies with their floppy ears, we hope you do too! 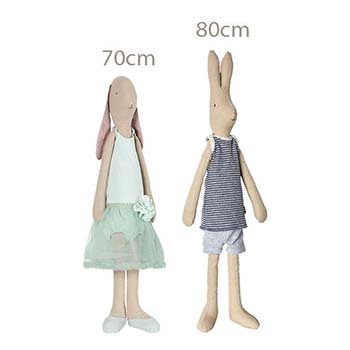 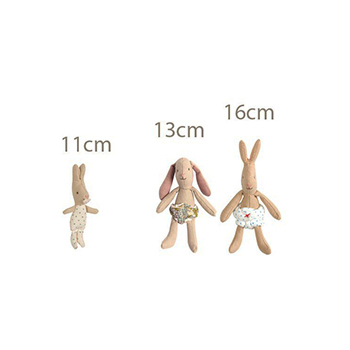 Bunnies & Rabbits come in 6 sizes, from the tiny 11cm My Rabbit to the 80cm Mega Rabbit. 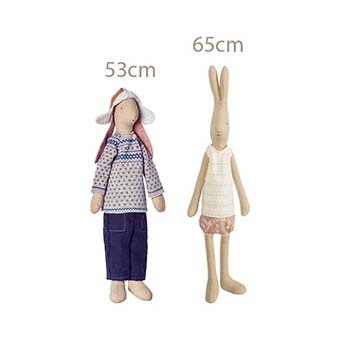 Those clever people at Maileg have also made clothes and furniture for the different size Maileg Bunnies and Rabbits.